Best Icon Maker & Converter. 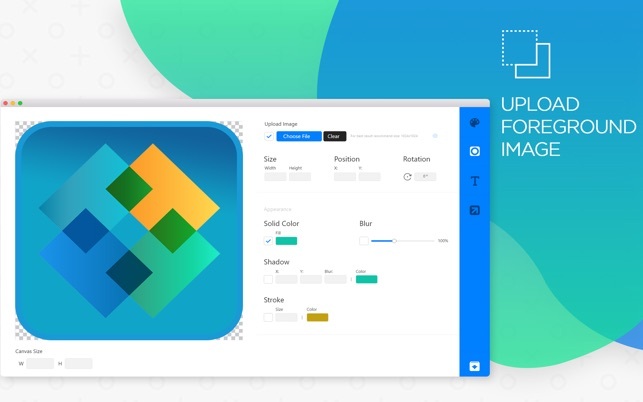 Icon Maker & Converter now is the easiest way to create and resize mobile app icons in minutes with your desired format. Want to resize your app icon design or make a new one? 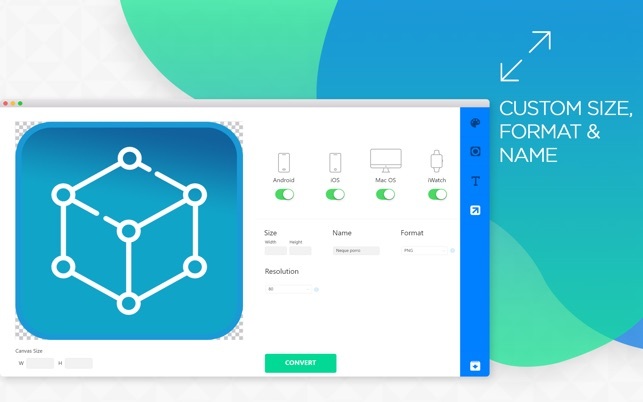 Well, it shouldn’t take you longer to generate or convert icons, and with this free icon maker and converter, it surely won’t! Now you can save time and focus on what’s actually important, which is creating the most amazing apps! 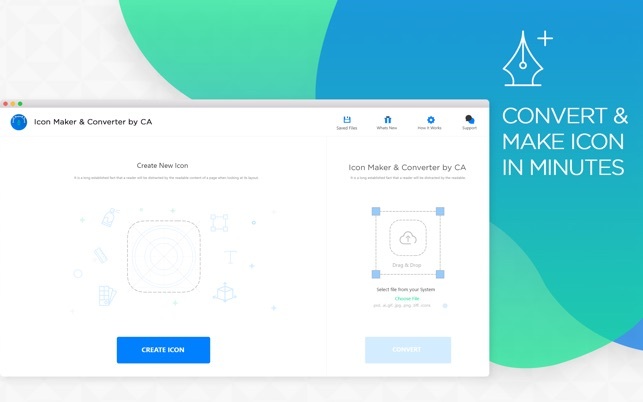 Icon Maker & Converter by CA is a free maker or image to icon converter Mac app, which you can use as your very own icon creator to design icon generator or icon resizer; whatever you may call it. The interface of this image to icon converter and maker is extremely user-friendly and straightforward. Simply drag and drop the image and Bingo! You are almost done. •	Customize foreground or background with solid colour​, gradient, stroke and shadow etc. •	Add text with custom fonts and shadows. •	Download and install our free icon maker or converter app on your Mac device. •	Open the app; drag and drop the image or choose the file (.jpg, png, .jpeg). •	If the selected file is not a square image, a dialogue box will appear, click ‘Yes’ to continue. •	Now choose the OS you want to use our icon creator and convert. •	Enter custom size, if you want to create customized icons. •	Enter ‘File Name’ and ‘Format’ and click ‘Convert’. 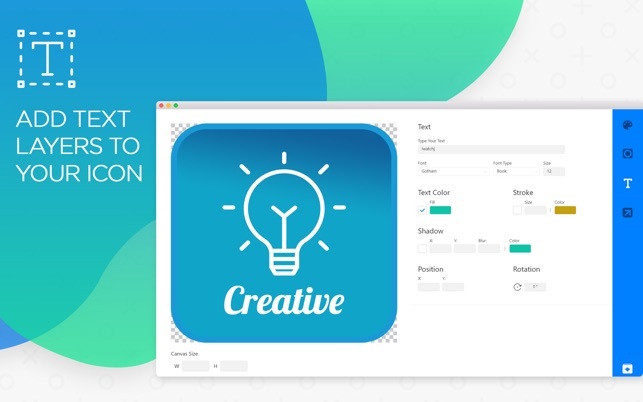 This app icon set creator will create an app icon set, including all the sizes you might need for your apps. 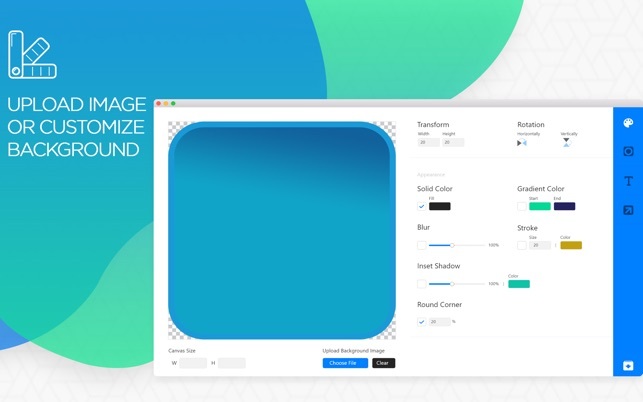 This icon generator app allows you to edit icon and export with a custom name and size. Download Icon Maker & Converter by CA on your Mac device now and get the best icons output for your apps. Take out a moment to Rate Us five stars and write a helpful review! Thank you for positive feedback, we will add this feature in coming update. Found this app really helpful and i really appreciate the quality of app and the way it helps user to create thier own Icon in no time. It’s hard to find apps for Mac, love this icon converter app. Copyright © 2018 Content Arcade. All rights reserved.